Close your eyes and imagine a perfect day of sailing. For me, this scene likely involves a Laser, warm water, even warmer air (and plenty of it! ), and some surfing-friendly waves. Forget the dry suites and wet suites that are commonly used for January frostbiting—my friends, this daydream involves nothing more than a pair of board shorts, a pair of polarized sunglasses, a PFD and some high-octane sunscreen. It also involves a starting line, an attentive race committee and plenty of other boats to play with once the starting-line samba begins. Sure, hydrofoils, wingsails and 100-foot waterlines are amazing, but there’s something irresistibly sweet and simple about a performance-orientated singlehanded boat, bathtub warm waters and tradewinds conditions. Mix in some Caribbean beaches, lush vegetation and some great post-sailing onshore activities, and this vision begins to develop its own gravity. While this daydream sounds like just that as I sit in Seattle and listen to the staccato fingers of the Pacific Nortwet’s [sic] world-famous raindrops pitter-pattering on my roof, the much happier thought is that anyone willing to do a little traveling can make this daydream a reality. 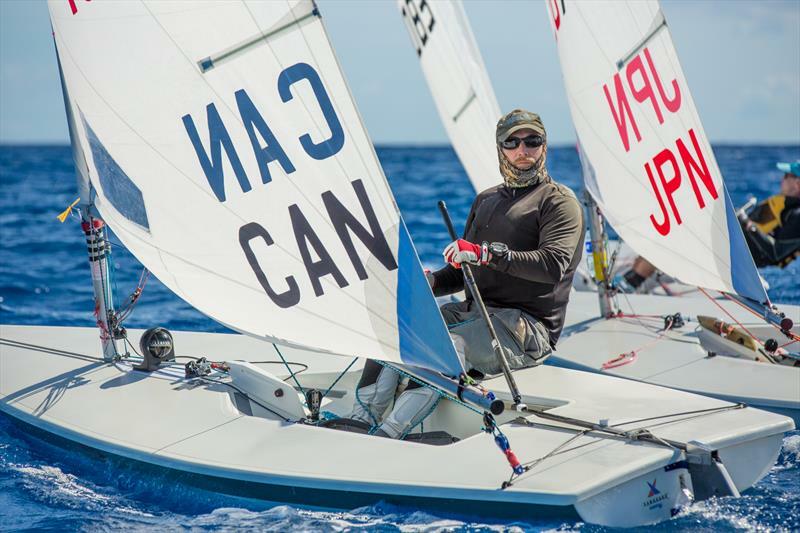 Best yet, the real-world version of this Caribbean vision also involves the opportunity to trade tacks with some of the world’s fastest Laser sailors, who will also be socializing at the clubhouse once the finishing guns fall silent each afternoon. I checked in with Ari Barshi, who runs the Carib Wind Cabarete Laser training center, located in the Dominican Republic, via email, ahead of the 17th Caribbean Laser Midwinter Regatta (January 18-20, 2019) to learn more this highly competitive and sun-kissed regatta. 17 years is a proud run for a destination One Design regatta—can you give us a little bit of color on how the regatta started and the kind of scene/culture that visiting sailors can expect if they attend? We decided to run a Laser regatta at our windsurfing club and called it the Caribbean Laser Midwinter Regatta. No big dreams, no big inspirations. We are stunned ourselves that we are now celebrating the 17th edition. It is even more amazing to us that it’s now a World Sailing grade II ranking event, and in January 2019 four of the top ten sailors in the world will participate our regatta. How has the event changed/evolved over the years? The first few regattas were two days long and at one point it became a three-day event. It’s a Caribbean vibe, [so] serious-fun and a true Pro-Am event. As all sailors share the same Carib Wind clubhouse it’s the only opportunity in the world for any sailor to rub shoulders and chill with world champions no matter what their sailing level is. Provided that Mother Nature delivers cooperative weather, how many days of racing can sailors expect? Also, how many races do you typically get in during this regatta? The sailing instructions call for a total of nine races that are [each] around 45 minutes long. If for weather or marketing conditions short, 20-minute races are run inside the bay close to the public eyes, then the SIs allow up to 15 races. How many boats do you expect to attend this year? Also, how do these numbers compare to recent years and also what percentage of sailors are from the Caribbean versus the U.S. or Europe? The average number of boats participating in our event is around 30. So far this year we have sailors from Argentina, Canada, the USA, Norway, Sweden, Great Britain, Holland, and the Dominican Republic. Registration is still open and we expect more countries to join. In the past, sailors [have come] from Japan, Germany, Brazil, St. Barts, Aruba, [and] Denmark, to name a few. Do you typically see the same names and faces each year or is there a reasonable amount of turn-over/new blood year on year? 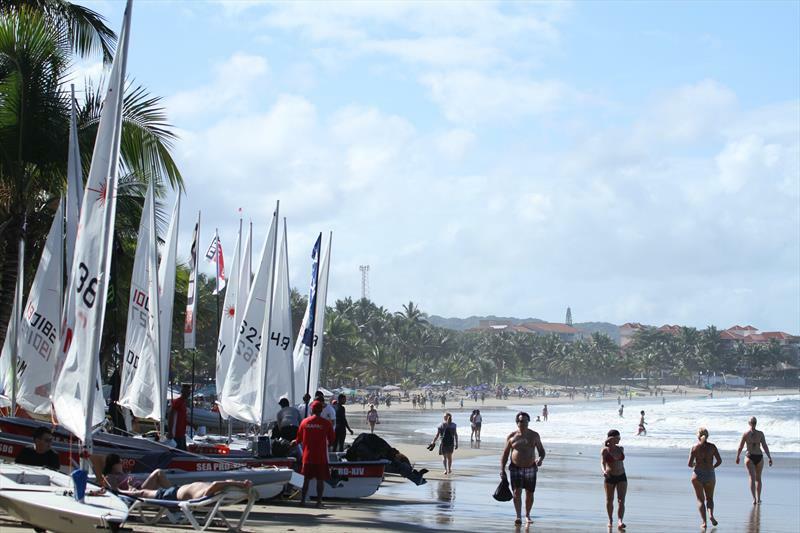 There are many loyal sailors who love sailing in Cabarete and return year after year. Legend Peter Seidenberg has raced in 15 of the past 16 regattas. At the same time we see new faces every year. How much of a factor is local knowledge on the racecourse? Cabarete is a world-renowned destination for kite-boarders and windsurfers thanks to the wind and wave combination. When we sail inside the bay some current knowledge helps, but [out] in [the] open ocean, boat handling and surfing have a bigger influence at times than tactics. Surfing down the ocean swell in Cabarete is an experience any sailor should enjoy at least once in their lives. It’s second to none. Do most sailors charter local boats or do they bring their own, say in a container? Also, we keep hearing all sorts of supply headaches related to acquiring new Lasers and Laser parts here in the USA…has the supply chain been an issue at all for you guys in planning an organizing this year’s event? At the Laser Training facility in Carib Wind we have 20 boats and charter more when needed. We have bought 10 new Lasers recently and have all the parts, [which] arrived from Europe. It seems that Laser Performance dealers in the Europe have no issue getting boats nor parts. We hope that in North America the bump on the road will be over soon as well. One must mention though that all experts agree that the construction quality of the boats and accessories has improved a lot in the past two years. 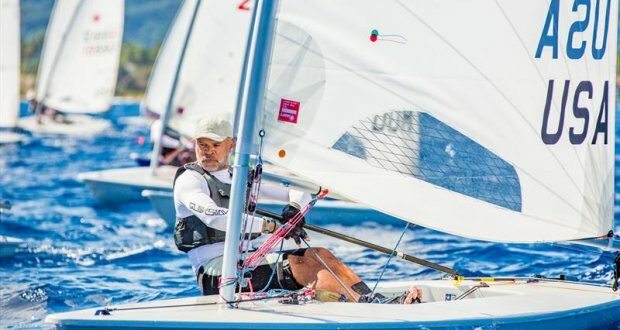 With the new MKII sail and composite mast, the Laser is managing to stay the most challenging racing dinghy class. The Laser is still the fastest growing class in the world with over 2000 new boats sold year after year. Can you tell us about any steps that you and the other event organizers have taken in the last couple years to help green-up the regatta or otherwise reduce its environmental footprint? There are no specific steps we can pride ourselves with. But as we are always running the event with a very limited budget, we never had a big environmental footprint. We will offer sailors drinking water from which they can refill their [reusable] water bottles. Naturally now that you asked me this question, I will look for other ways we can leave an even smaller environmental footprint. I hope you can come and see our event yourself and join us for the opening cocktail or gala dinner.